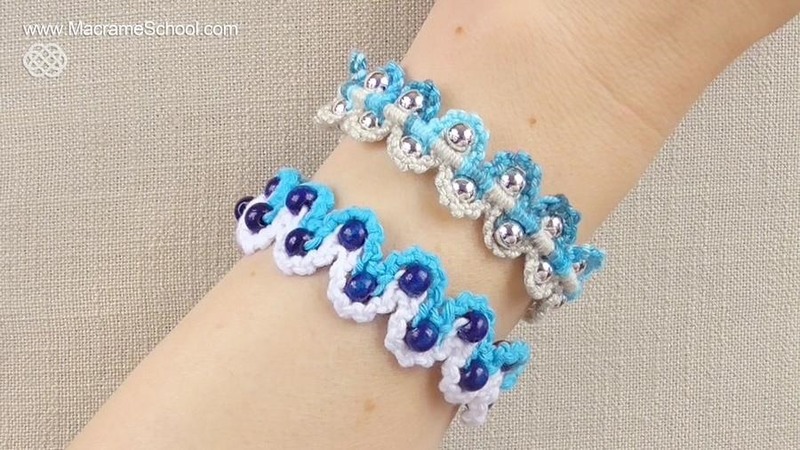 DIY Macrame Bracelet - Waves with Beads + Button clasp. This Bracelet looks good from both sides! Good accessory for the summer season!